The best thing about investing in FBuShare is that you get one free Award Share for every two shares purchased in the first year of the three-year qualification period and still own at the end of that period. FBuShare is an exclusive offer for Fletcher Building employees only. You must be a full or part-time permanent employee of the Fletcher Building Group. For more information read this. FBuShare is designed to make it easy for you to keep investing in Fletcher Building. All you have to do is decide how much you want to invest from your after-tax pay, and complete an application to join FBuShare. We take care of the rest. Deductions are made from your regular pay. Your FBuShare portfolio is available 24/7 to check via this website. You can see the number of shares you have purchased and you are able to see the current value of these shares - Click here. Eligible employees will receive an invitation to apply to join FBuShare. Applications to join FBuShare can be made any time on or after 1 March and before 11.59pm New Zealand time on 25 March. Your Annual Investment Amount will be divided by the number of salary or wage payments you receive in the year. Your contributions and shares can be viewed by logging in to your online FBuShare portfolio. On 1 March 2019, eligible employees of the Fletcher Building Group in the nineteen countries where the March 2019 offer is being made are sent an invitation to apply to join FBuShare. Where the Group holds an email address for you, your invitation will be sent to your email address. If the Group does not have an email address for you, your invitation will be mailed to your postal address. If you don't receive an invitation by 5 March or you're not sure whether you are eligible, check with your team leader or People and Performance team. You can choose the annual amount you wish to invest from your after-tax pay, subject to certain maximum and minimum annual amounts, which are set out in the Information Guide. This is your Annual Investment Amount. You can increase the amount you invest (up to a maximum of NZ$5,000 a year, or the equivalent in other currencies), decrease the amount you invest (to a minimum of NZ$250 a year, or the equivalent in other currencies), suspend participation in the Plan, or withdraw from the Plan altogether during the Plan window (which is a period in March each year specified by Fletcher Building). You can also choose to sell some or all of your shares at any time – but if you sell your shares before the end of the Qualification Period you will no longer be entitled to Award Shares on those sold shares. Your Annual Investment Amount will be divided by the number of after-tax payments you receive in the year, and the resulting amount will be deducted from each after-tax payment you receive (your Regular Payment). For example, if your Annual Investment Amount is NZ$3,600 and you are paid monthly, your Regular Payment will be NZ$300. Your Regular Payment will be used to purchase shares in Fletcher Building on the NZSX or the ASX each month – these shares are called Purchased Shares. If Fletcher Building declares a dividend in respect of shares that you hold in the Plan, the net cash amount of that dividend will be used to acquire additional shares, and these too will be held in the Plan. You may also become entitled to additional shares if the company undertakes a rights issue or bonus issue. These additional shares are referred to as Additional Shares and will also be held in the Plan. If you remain employed within the Fletcher Building Group (in most circumstances) and retain ownership of your Purchased Shares for three years (the Qualification Period), you will receive 1 free share (Award Share) for every 2 Purchased Shares acquired using Regular Payments made in the first year of the Qualification Period. You will also be entitled to Award Shares on any Additional Shares on a similar basis. Once you join, you will remain in the Plan and will continue to invest the same Annual Investment Amount unless you vary your Annual Investment Amount, suspend your participation in the Plan or withdraw from the Plan. As a Fletcher Building shareholder you will have full voting rights on any shares that you hold in the Plan. If you are employed in a country where it is not possible or practicable due to local laws to offer shares (such as in Fiji or Tonga), you will be invited to participate in a phantom plan. The phantom plan will operate in the same way as the share plan, except that no actual shares will be physically purchased, held or sold. Instead the phantom plan will reflect the cash equivalent of the share plan. Shortly more than 3,000 employees that participated in FBuShare in 2016 will soon be eligible for Award Shares in April 2019. In some countries the Plan Administrator will manage the sale of sufficient shares to cover any applicable withholding tax obligations. Please refer to the Tax on Award Shares for a list of these countries. How do I apply for FBuShare? 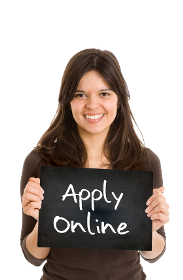 Click here to access your online application. You will need to enter your last name and employee offer ID as it appears in your invitation to login and apply. Once the application is complete, a confirmation number will be provided. The confirmation number should be kept as a record of your application. 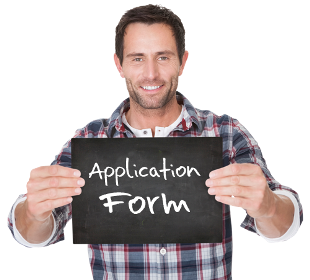 If you entered a valid email address during your application, you will also be sent an email confirming that your application has been received. If you are unable to apply online please contact your People and Performance advisor for assistance. You will be required to complete a hardcopy application form and return it to your People and Performance advisor who will then complete an online application on your behalf. Your People and Performance advisor should provide you with a print out of the confirmation information for you to keep for your records. To continue participating in FBuShare at your current Annual Investment Amount, you don't need to do anything. Please be aware that if you have previously applied to contribute at the maximum Annual Investment Amount and the maximum Annual Investment Amount decreases, your contributions will automatically be reduced to the new maximum Annual Investment Amount – see the Information Guide for an explanation. In some countries the maximum Annual Investment Amount has been increased to reflect the changes in exchange rates. Your Annual Investment Amount will not be increased automatically to the new level, but will stay at your current contribution amount. If you wish to contribute at the increased maximum Annual Investment Amount, then you will need to vary your participation – see the Information Guide for maximum and minimum investment amounts.